We are proud as punch to announce the launch of our latest activity with Johnson & Johnson. 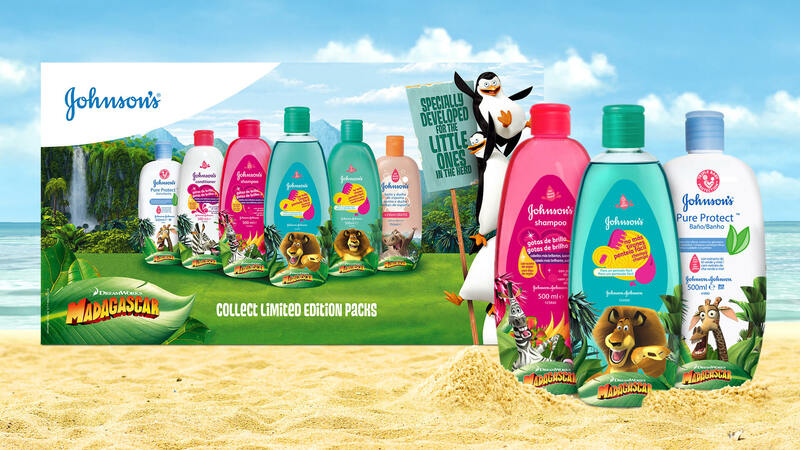 Working closely with the team in Southern Europe, we developed a fantastic licensed deal with Universal/DreamWorks’ Madagascar IP to run across a range of Johnson’s kids products in 11 markets. As well as negotiating the licensed partnership, we worked on the creative and oversaw campaign roll-out, which included exclusive Madagascar design packs, a TV-tag, in-store POS & events, paid digital and social media.